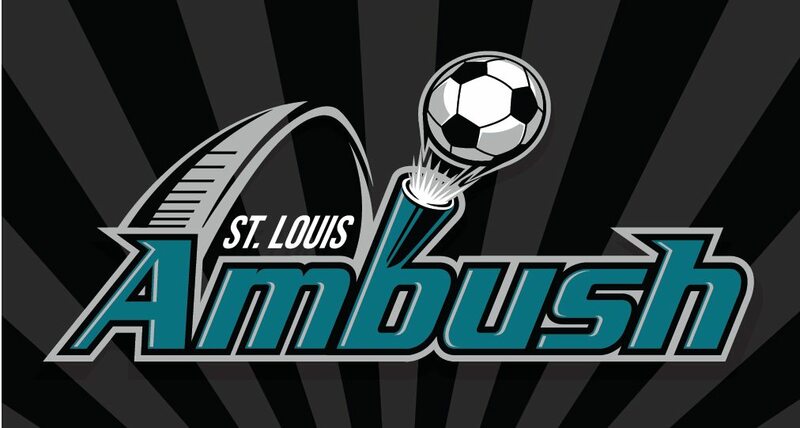 The St. Louis Ambush fell 9-4 to the Florida Tropics Saturday night at the RP Funding Center in Lakeland, Florida. The loss gave the Ambush a split in their a season-opening road trip that saw them play two games in as many days in Florida. The Ambush defeated the Orlando SeaWolves Friday night. The Tropics drew first blood when Victor Parreiras took a long pass from goalkeeper Hugo Silva and fired a high shot out of reach of Ambush goalkeeper Casey Clark at 6:45 of the first quarter. Florida increased their lead to 2-0 in the final seconds of the period (14:48) when Jowayne Laidley, positioned midway in the penalty area in front of the goal, passed to Lucas Coutinho, who easily found the back of the net, giving the home side a 2-0 advantage as the opening quarter expired. Florida increased their lead to 3-0 when a defensive lapse left Lucas Montelares unmarked in front of the goal and scored at 11:05 of the second quarter. The Ambush defense faltered again when Guilherme Dos Santos found himself open, took a pass from Anthony Arico, and made a high shot into the net at 14:12 to make the score 4-0, which held until the teams retired to the locker rooms for halftime. Florida was awarded a shootout when Justin Stinson was sent to the penalty box for taking down a Tropics player. Parreiras took the attempt and beat Ambush goalkeeper Clark at 3:26 to make the score 5-0. Laidley took a high shot that hit the crossbar and careened into the goal at 6:06 increasing the lead to 6-0. In an unusual move, Ambush Head Coach Hewerton took Clark out and came in as the sixth attacker. The Ambush finally got on the board when Lucas Almedia scored on a restart at 7:44. Clark resumed his spot in goal after Almeida’s tally. Hewerton continued his rotation of Clark and a sixth attacker in an effort to improve his team’s offense and it would prove to be a strategy that generated additional goals. The Tropics enjoyed a 6-1 lead at the end of the third quarter. The Ambush chipped away at the lead when Tropics goalkeeper Silva dropped the ball near the goal and Jerjer Gibson was there to tap it into the net at 1:40 of the fourth period. Gibson got his second tally of the night when Hewerton passed to Gibson, who took the ball just inside the yellow line and fired a long shot that found its mark to make the score 6-3 at 4:42 of the fourth.With Hewerton in play as the sixth attacker, JP Reyes scored on the empty net at 9:59 for a 7-3 Tropics lead. Justin Stinson scored his first Ambush goal when he took a pass from Almeida and put it away at 10:51. Florida increased the lead to 8-4 when former Ambush member Arico executed a perfect bicycle kick at 13:03. The Tropics didn’t slow down, as Max Touloute made the score 9-4 less than half a minute later (13:27). The Ambush play one more on the road before coming home to the Family Arena. On Saturday, December 8, the Ambush travel to Harrisburg to square off with the Heat at 6:05 p.m. CST at the Pennsylvania Farm Show Arena. The Ambush home opener is slated for Sunday, December 16 at 3:05 p.m. CST at the Family Arena. Is this Russia? This isn’t Russia.